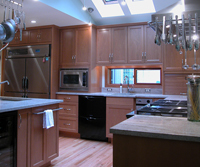 team together with the fine workmanship of Riddle Construction, the results are spectacular. This award winning design more than doubled the size of the exisiting, to allow for a truly gourmet cooking Kitchen. 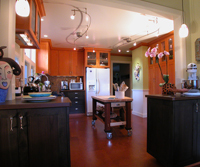 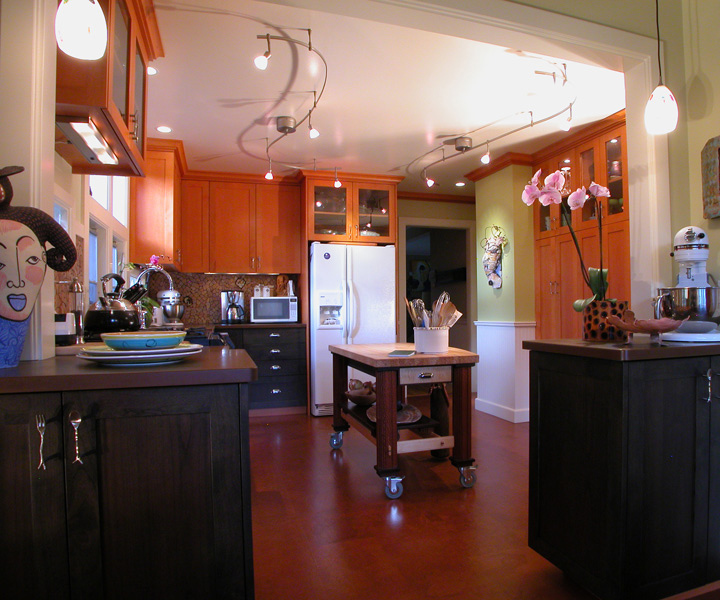 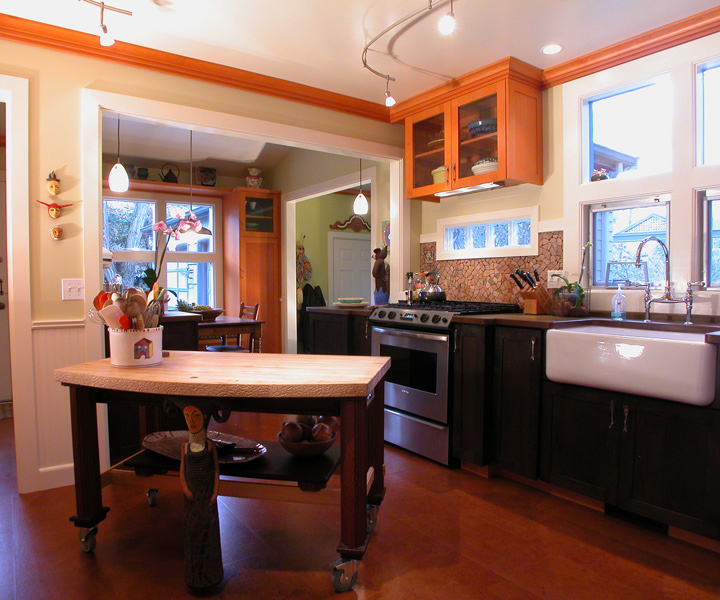 Our artist client wanted her Kitchen to be functional, while at the same time reflect her artistic abilities. 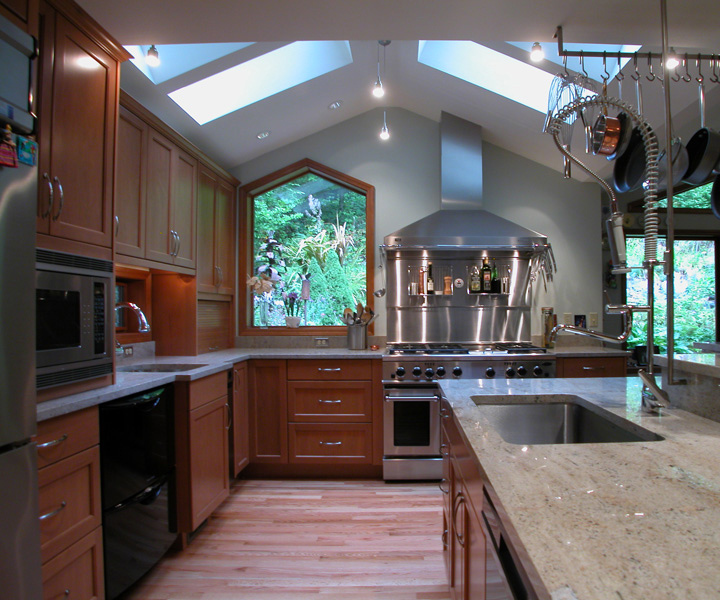 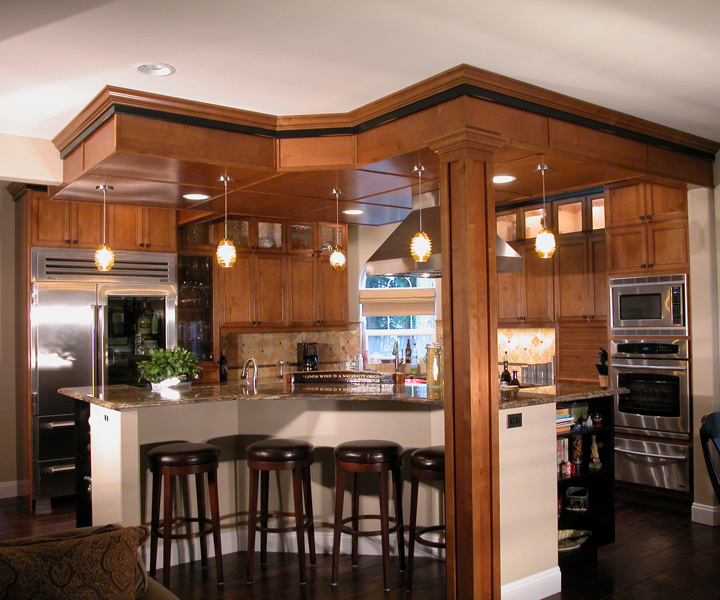 Thanks to new structural posts and beams, this once cramped space was expanded to become a spacious "State of the Art" Kitchen. 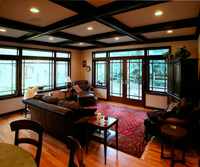 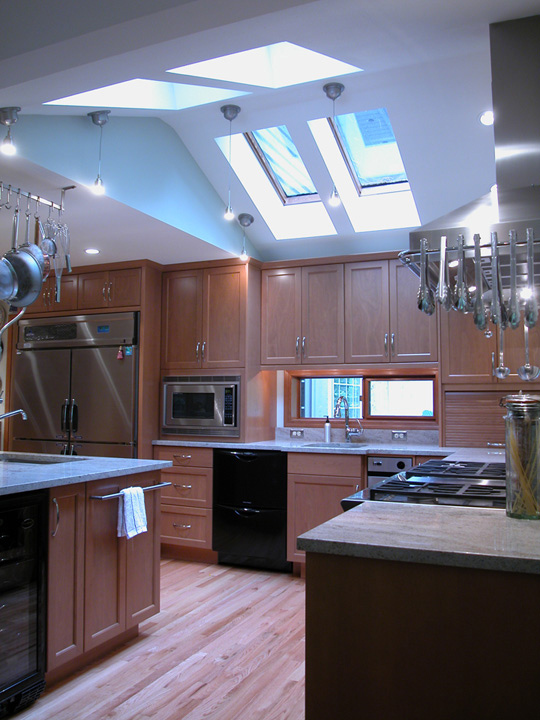 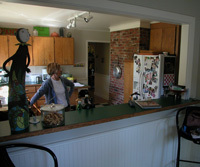 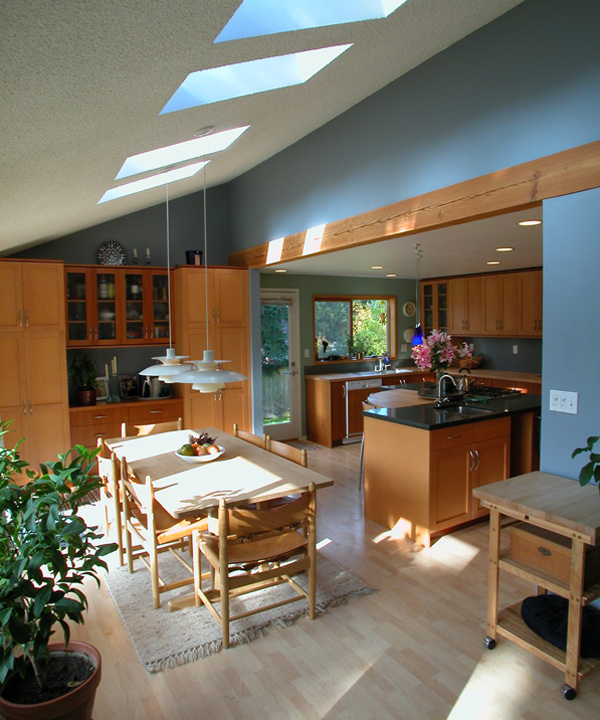 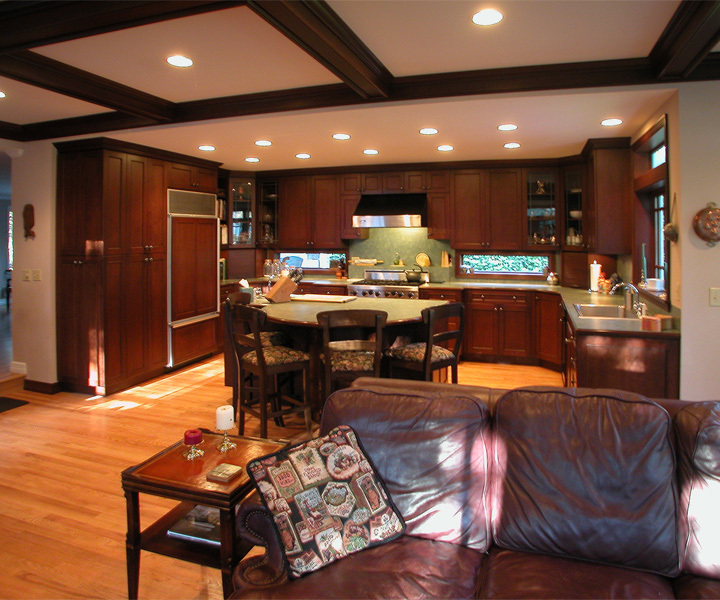 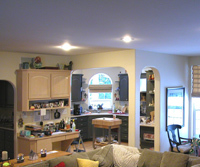 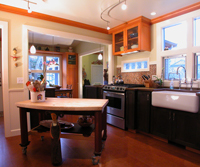 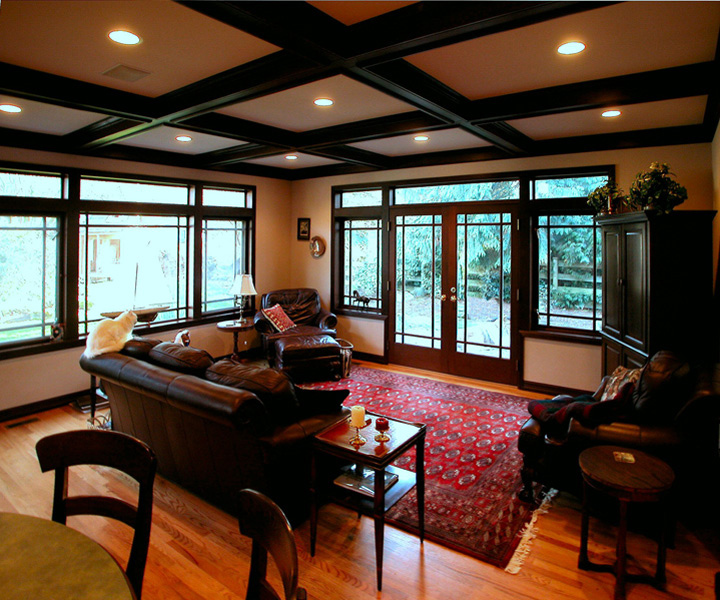 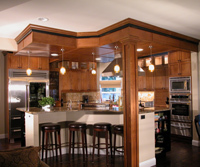 This Kitchen-Family Room required a new 1000 square feet addition. 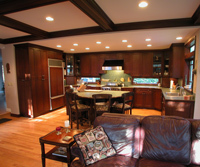 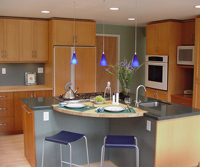 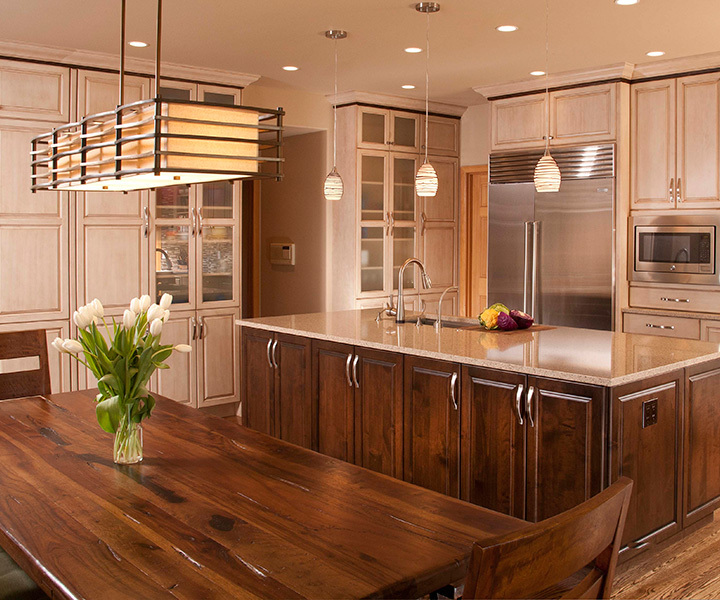 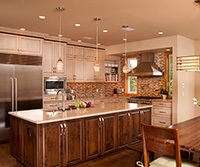 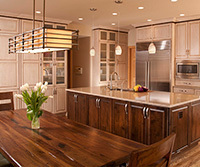 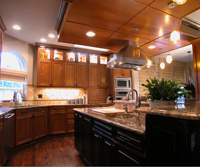 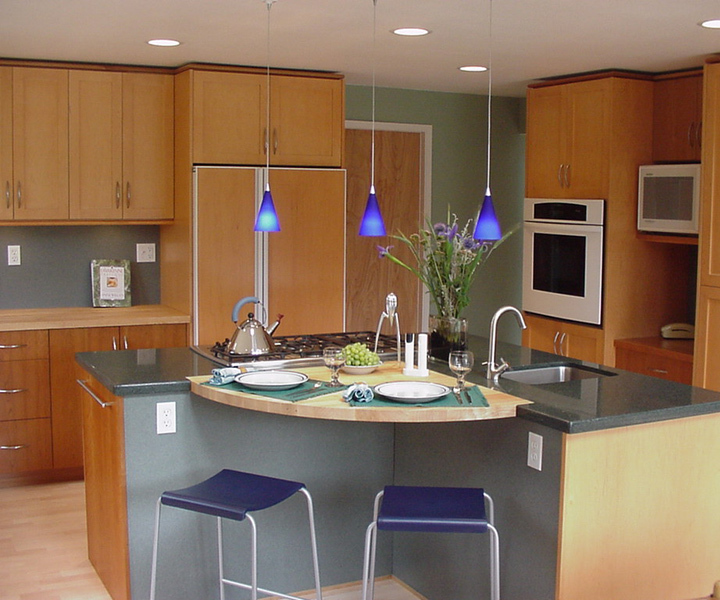 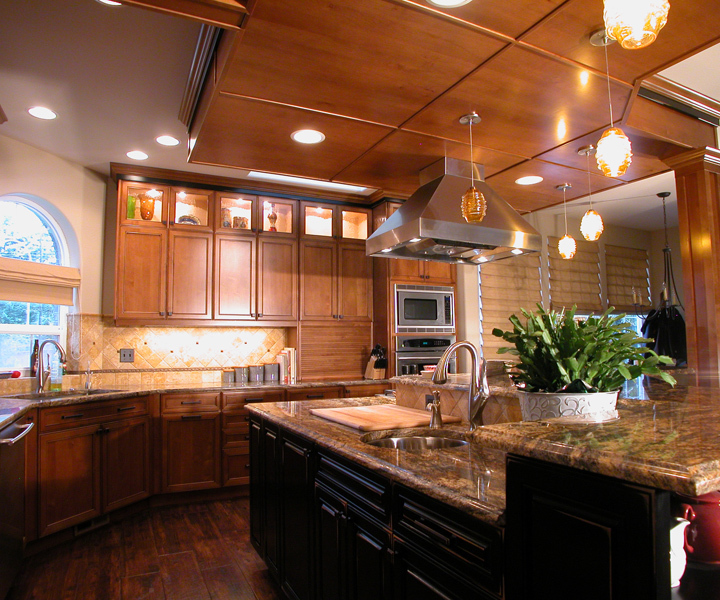 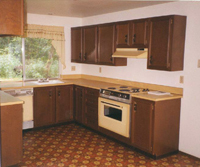 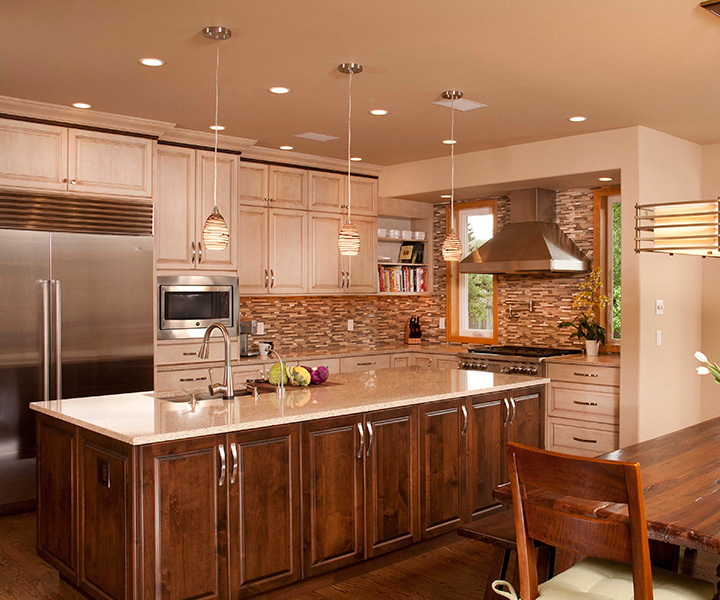 The highest quality finishes and appliances were used to create this wonderfully warm space. 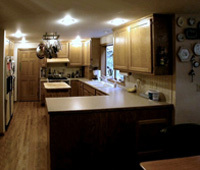 This house was in need of an overall remodel. 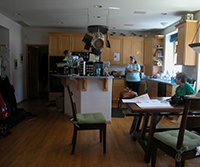 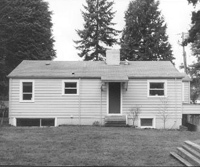 The first stage in 2000, was relocation of the kitchen to a unused open area, a wall was removed and a "Great Room" was created.